It was another beautiful day in Tokyo and I figured I’d just wander around a bit and make sure I visited the geek Mecca of Akihabara. I went for the electronics, not for the anime stuff and the maid cafés, even if you don’t believe me. 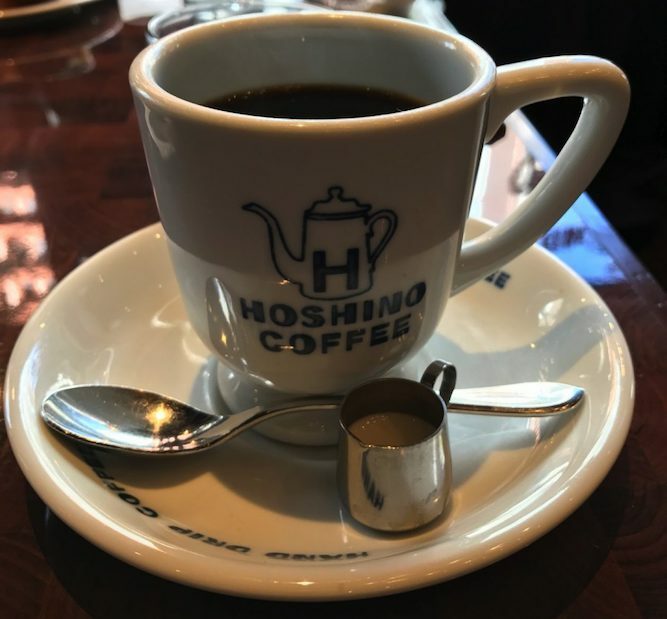 I started out the day at Hoshino Coffee again. 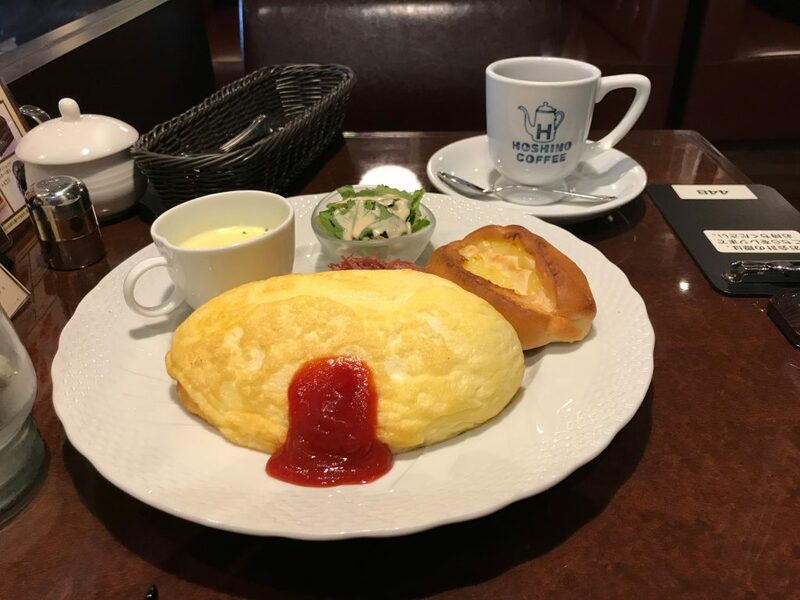 They have a good breakfast set menu, and the coffee is quite good and strong, just the way I like it. None of this hipster “bright” coffee nonsense. 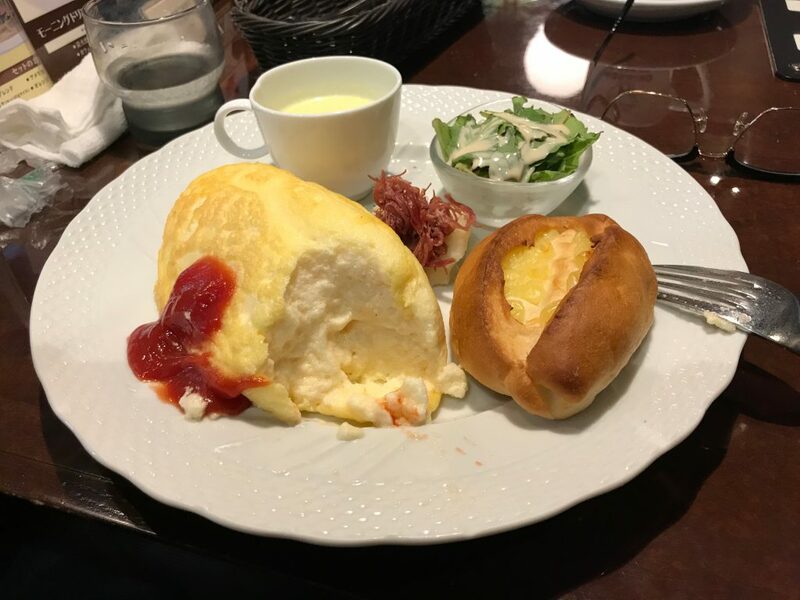 I ordered the omelette set, which arrived with a huge (for Japan) omelette! As soon as I took a bite I realized why, it was all airy and fluffy! I didn’t want to go straight to Akihabara because nothing seems to open before about 10AM here. 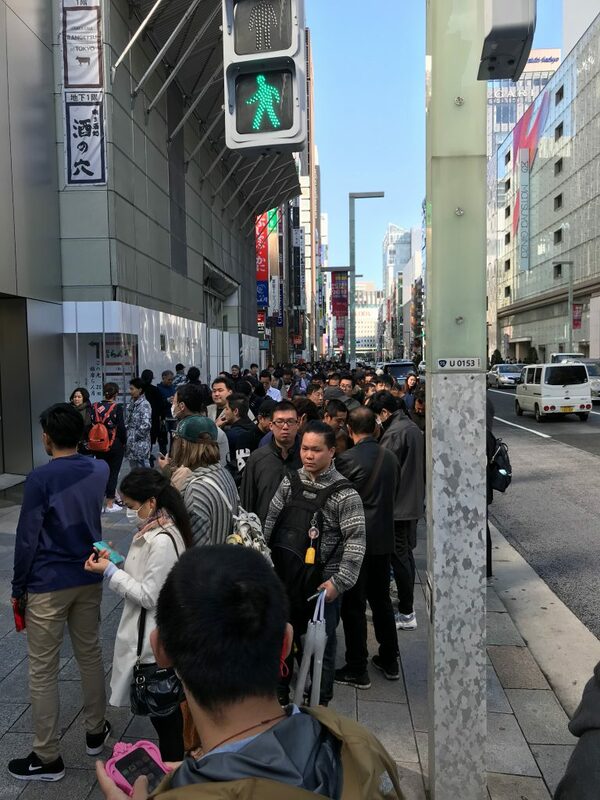 I noticed that the Ginza Apple store hours said 8AM, so I thought I’d pass by and see what the new iPhone X looked like first. Not a great idea. I used Google maps to estimate the line was about 400m long (four football fields). 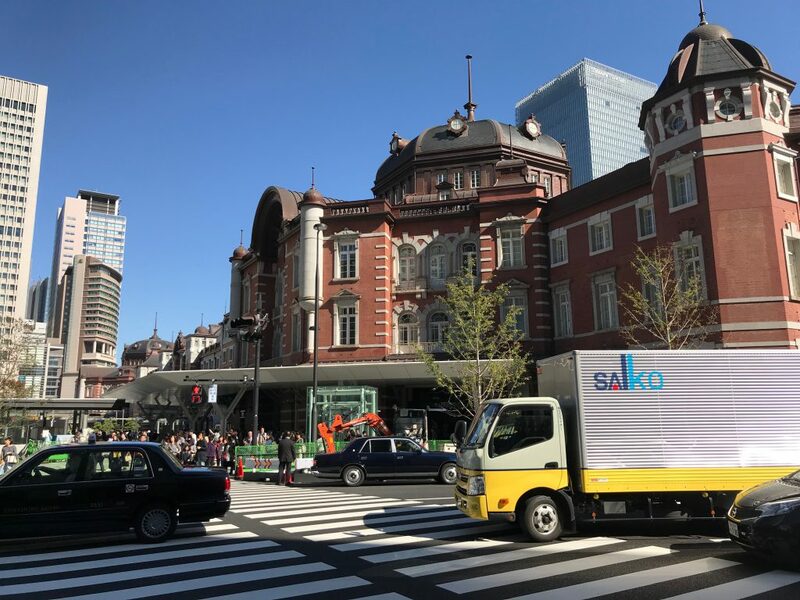 Every time I thought I found the end of the line I realized it was just the standard Japanese trick of breaking up the line so people weren’t blocking driveways or streets. There were a LOT of people in line. Later in the day I just walked up to one at Bic Camera, I think, and played with one for a minute. I decided just to take a long walk to Akihabara, about 40 minutes away, and that wasn’t the best idea either. 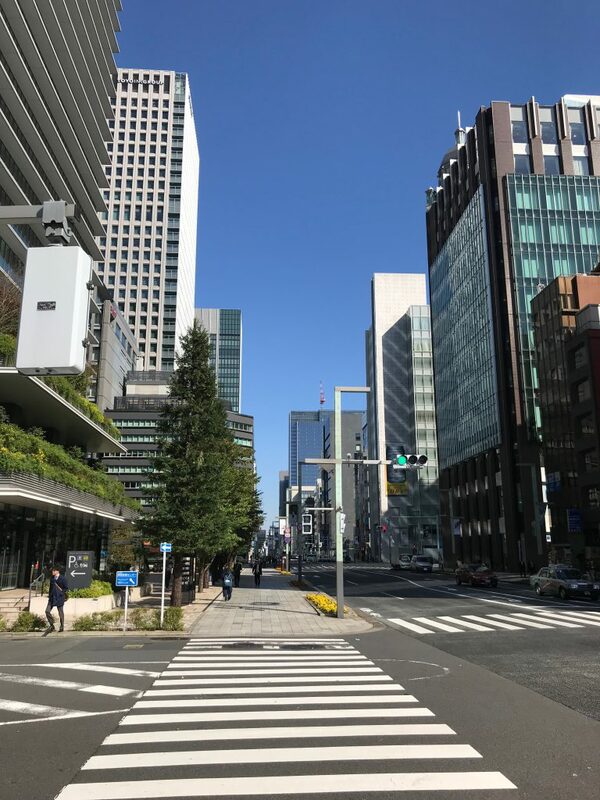 I’ve walked through a lot of neighborhoods in Tokyo and this was the blandest walk I’ve ever taken. Here’s a shot from a good part closer to Ginza. it was just a wasteland of gigantic construction projects or bleak buildings. I didn’t take any pictures of that. At some point I just popped out into Akihabara. I wandered around a bit and found the old parts stores that had tubes and ancient chips that are still in business and spent way too much money on a Nixie tube display kit. 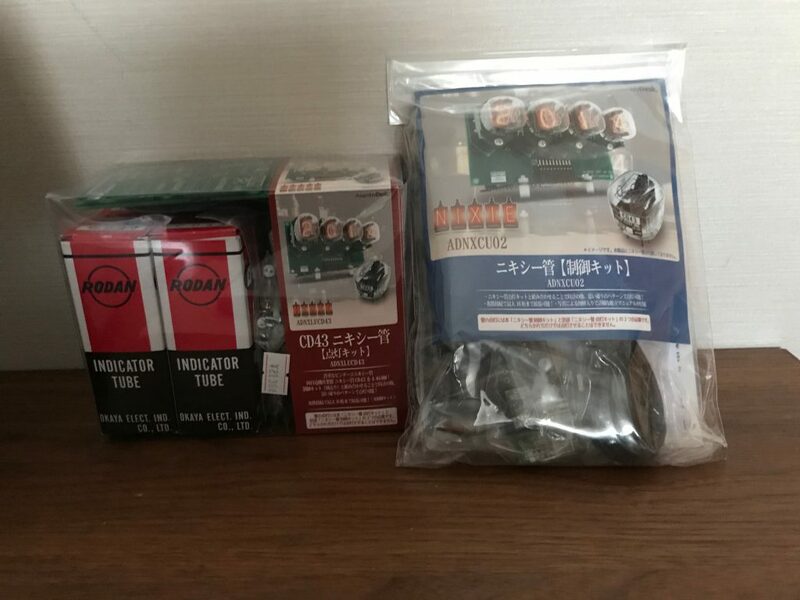 Then I spent a couple of hours trying to find a store that I used as a landmark, only to realize that the reason I used the store as a landmark was really to find the store where I bought the Nixie tube kit. 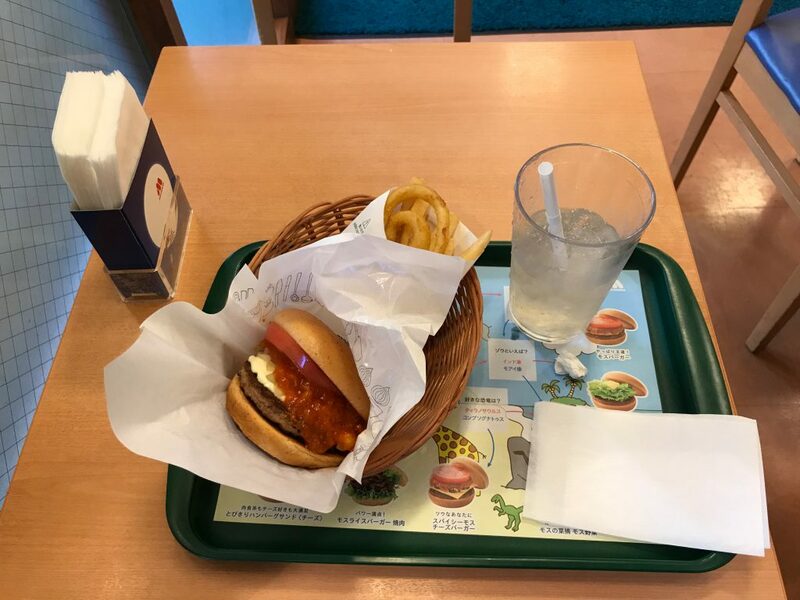 I sheepishly headed to Mos Burger for a late lunch. 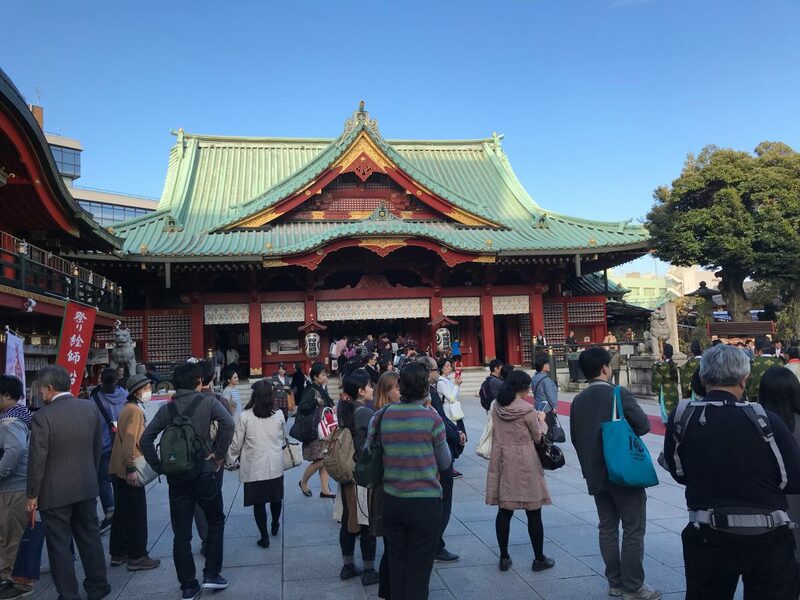 I wondered what to do next, and I finally decided to do the easy thing: visit a shrine. 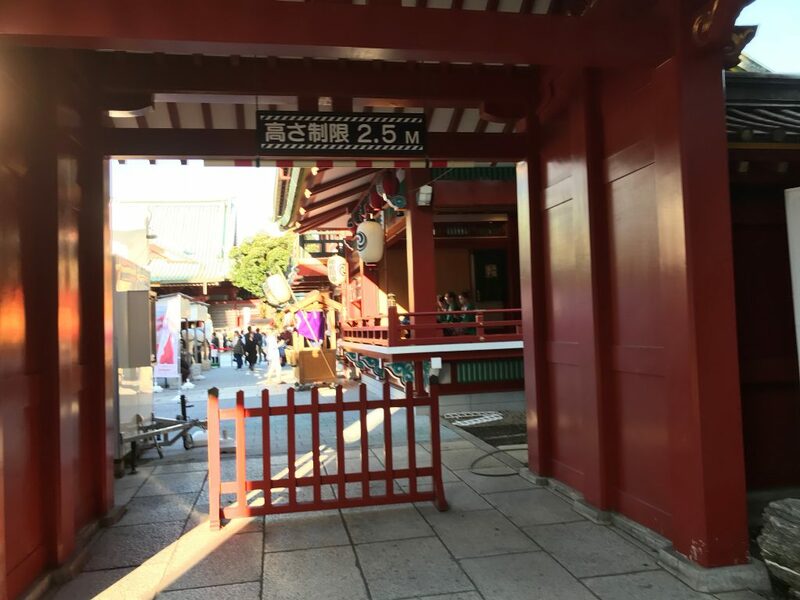 And I was near Kanda Myoujin. 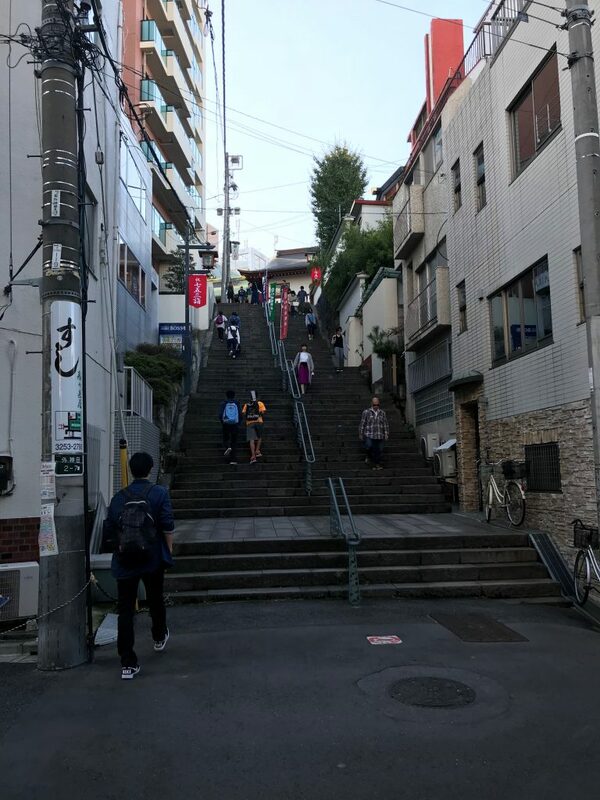 I even took the stairs that almost did my mom in on her last trip to Japan. It was busy! 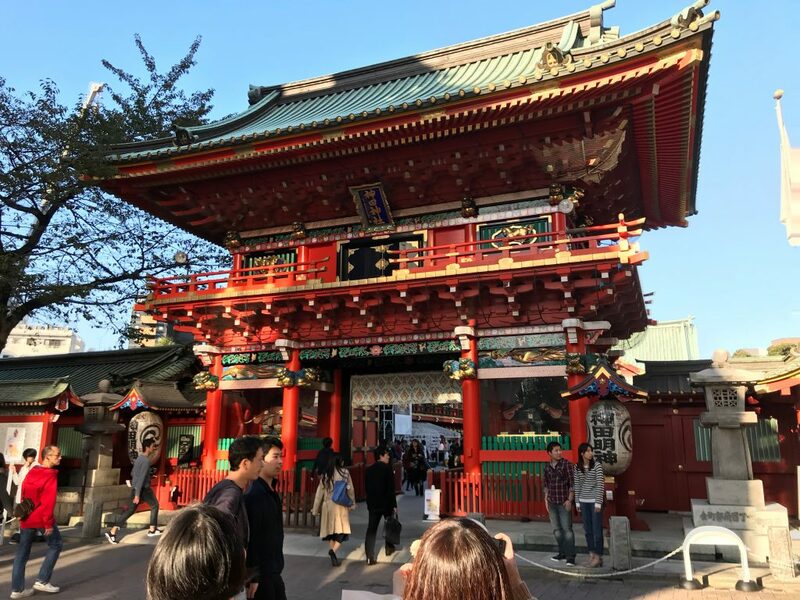 I had to line up to do the usual shrine thing, and saw traditional musicians, shichi-go-san kids, and even a wedding! Musicians over towards the middle right of the picture. The musicians walking up the red carpet, followed by the wedding party I didn’t take a picture of. 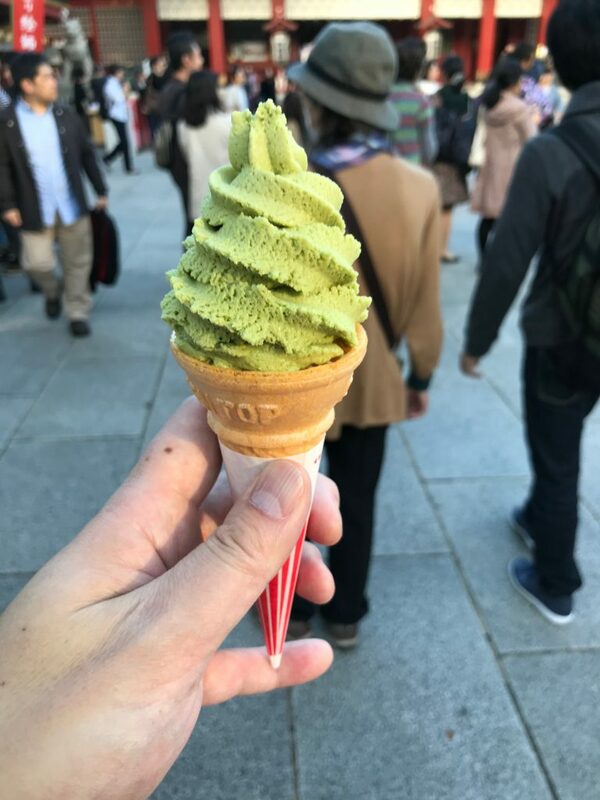 I even had a soft ice cream cone. After that I headed towards a train station, which happened to be near Kanda’s row of music stores, so I did stop in to a violin shop and peek in the windows to see all the pretty guitars and brass instruments for sale. Funny, I don’t remember seeing any woodwinds or percussion instruments, but I’m sure I’m just forgetting them. The only other thing of note was going to dinner. 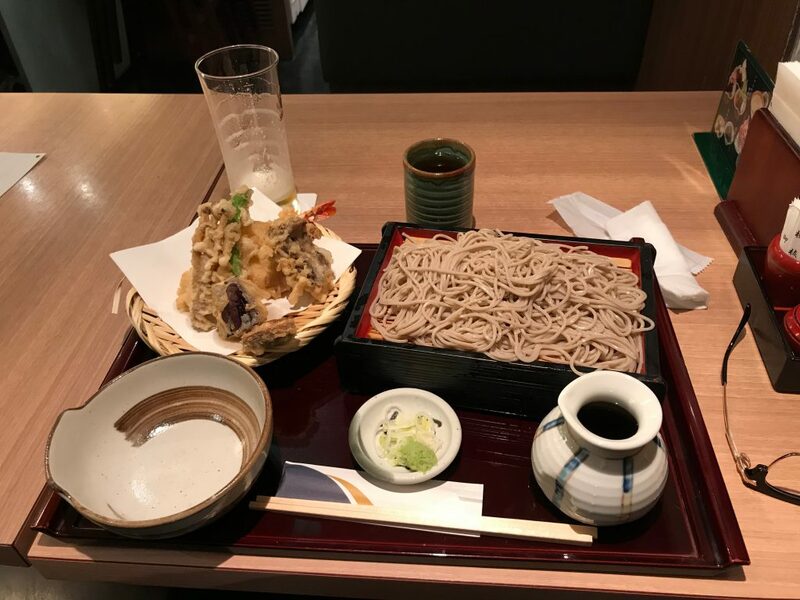 I thought I’d try somewhere different and ended up on the Odakyu dining floor at the same restaurant I’ve been to several times before. There was a line of Japanese people and you know how we Asians like to line up. I was afraid to try the places that only had lines of Chinese tourists or, even worse, no line at all. When I see all the places that you have eaten at, I definitely feel like I exercised too much food enryo when I went to Japan last year. Your pics are lustworthy! !